JUVÉDERM VOLLURE™ XC is the newest addition to the JUVÉDERM family of products – the top-selling line of dermal fillers. Popular in Europe for several years, JUVÉDERM VOLLURE™ XC is now approved by the United States Food & Drug Administration for correcting moderate to severe facial wrinkles and folds. It is the only FDA-approved hyaluronic acid dermal filler approved for this purpose. It is available by prescription only, for patients who are over 21 years old. Previous JUVÉDERM products – VOLUMA® XC and VOLBELLA® XC – aim to increase volume in the cheeks and lips, respectively. While it can be used to treat other facial wrinkles, the new VOLLURE XC targets nasolabial folds – the creases that develop between the nose and corners of the mouth. This is the most-requested treatment area. JUVÉDERM VOLLURE™ XC is an injectable gel, so treatment is a simple, short in-office procedure. 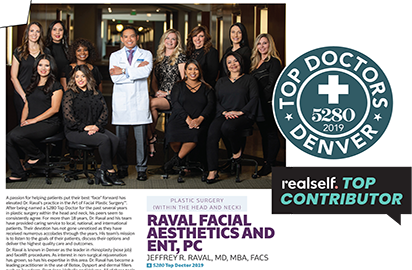 Your healthcare provider uses a fine needle to gently inject the gel into the skin, where it replenishes volume under wrinkles and folds to achieve a smoother-looking surface. As with all dermal fillers, the treatment is temporary because the gel is gradually absorbed by the body. Repeat treatments can be administered to maintain results. It is an injectable gel made from a blend of multiple molecular weights of hyaluronic acid, a compound naturally produced by the body that promotes skin hydration. WHO MAKES JUVÉDERM VOLLURE™ XC? WHAT ARE THE BENEFITS OF JUVÉDERM VOLLURE™ XC? Time and gravity cause loss of fullness in the face. This causes wrinkles, which can deepen into folds, commonly known as “smile lines” around the mouth or “nasolabial folds,” the lines that run from the nostrils to the mouth. JUVÉDERM VOLLURE™ XC does not reverse or stop the aging process, but it can help reverse the visible effects by temporarily restoring volume in the target areas. In fact, it provides longer-lasting results than any other dermal filler available today. WHAT IS THE CLINICAL EXPERIENCE BEHIND JUVÉDERM VOLLURE™ XC? Allergan’s uses a proprietary technology called VYCROSS® to custom-formulate their hyaluronic acid gel, creating a product that offers exactly the right consistency to provide desired volume and extend longevity of results. JUVÉDERM VOLLURE™ XC is FDA-approved to treat moderate to severe facial wrinkles and folds such as nasolabial folds. HOW LONG DOES JUVÉDERM VOLLURE™ XC TREATMENT EFFECT LAST? JUVÉDERM VOLLURE™ XC has shown to last up to 18 months. That is longer than results for any other dermal filler, as demonstrated in clinical trials. DOES JUVÉDERM VOLLURE™ XC TREATMENT HURT? Any injection may cause slight discomfort during or after the injection. 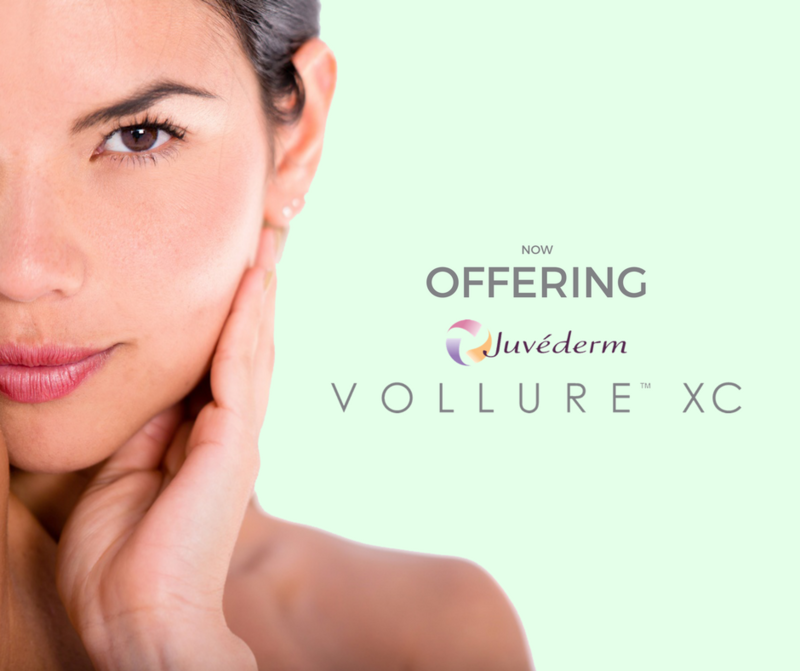 JUVÉDERM VOLLURE™ XC is a very smooth gel, and your doctor uses a fine needle for the injection, both of which minimize discomfort. However, to further reduce chance of discomfort your doctor may apply a numbing agent to the treatment area prior to the injection. IS THERE ANY DOWNTIME WITH JUVÉDERM VOLLURE™ XC? Results are immediate, so there is little or no downtime needed. ARE THERE ANY SIDE EFFECTS WITH JUVÉDERM VOLLURE™ XC? The most common side effects are temporary injection site reaction such as tenderness, swelling, redness, bruising, discoloration, firmness or bumps, pain, and itching. Typically, these side effects go away within a week.